In order to set up your email addresses on different devices, you will need specific settings. Setting up the email address is straight forward if you follow the prompts of your email clients. Remember passwords are case sensitive so make sure you take special note of capitalization. Getting a bit more technical.. Remember at Masterweb we DO NOT store passwords. If you lose your password then we will be happy to reset the password and forward it to you. Remember that you will have to change the password on all your devices. You can either set up your email address as POP (Post Office Protocol) or IMAP (Internet Message Access Protocol). When you set up your email address with POP then the messages will be downloaded from the mail server directly onto your device. IMAP, on the other hand, will keep the message on the mail server until you delete the message. So if you break your device or if it gets stolen then you can just set up your email address again and it will retrieve all your messages. The downside though is that you will need to monitor your storage. On smaller email packages storage is limited. 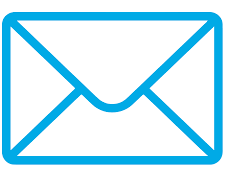 Contact us if you would like to set up your email address as an IMAP. Feel free to contact us if you need more technical assistance.